Aggressive measures have been taken to boost Malaysia's tourism and hospitality industry, which include hotels, foods, restaurants, chefs, as well as food services equipment with suppliers doing their part to help maintain the industry as the third largest contributor to Malaysia's economy.Deputy Minister of Tourism and Culture, Datuk Mas Ermieyati Samsudin said that combined efforts by the various stakeholders to push the industry to new heights as evidenced by the ongoing and highly successful international Food and Hotel Malaysia 2017 (FHM 2017) would help the tourism industry's receipts increase this year. She cited how such combined efforts went a long way towards enabling the tourism industry to contribute RM73.3bil to the nation's coffers last year. 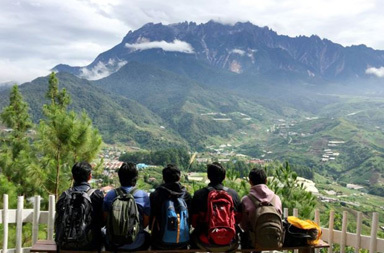 According to data from Tourism Malaysia, the target for tourist arrivals this year was 31.8 million while tourist receipts were expected to reach RM118bil. She said the tourism and hospitality industry was recognised as one of the national key economic areas in the government's vision to help make Malaysia a high-income nation by 2020. By 2020, Malaysia is targeted to draw some 36 million tourists with tourism receipts projected at RM168bil.Mas Ermieyati also lauded the FHM series of exhibitions which has grown from its humble beginnings to emerge to become the global mecca it is now for international hospitality and the food and beverage fraternity.